Apple might finally something that will tickle your fancy, after a long time. The feature which is tied around Apple iPhone 6, iOS 8 and the rumored iWatch, might just be the big daddy of every fitness gadget. The kind of stuff the app is rumored to offer is close to unbelievable since, it could potentially tell you about your Oxygen levels, sleep patterns and even blood sugar. According to the rumored screenshots, the Apple Healthbook is based on the current Apple Passbook app. In fact, this app will measure many health metrics which include your bloodwork, heart rate, blood sugar, hydration, blood pressure, activity, nutrition, sleep, respiratory rate, Oxygen saturation and weight. 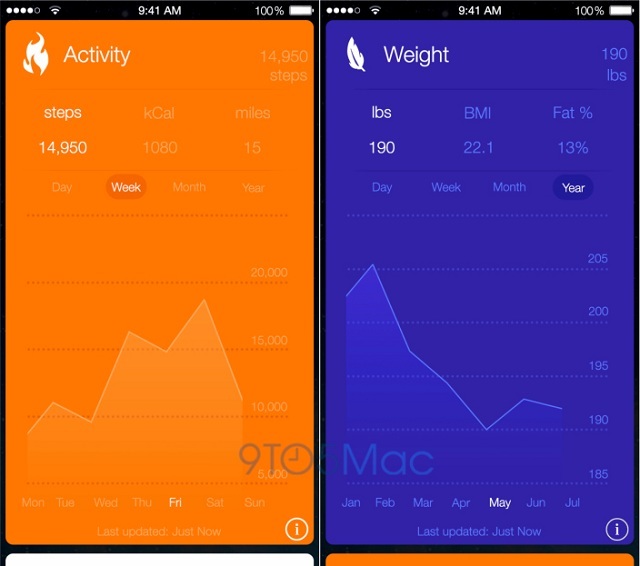 Apple Healthbook will provide you a concise chart of every metric, color-coded with different colors. In fact, in the past it has also been rumored to possess pregnancy tracking and stress levels although, it hasn’t figured in the current rumor. Apple has hired Jay Blahnik, who was behind Nike’s range of fitness product for this purpose. But, one of the most surprising features is definitely that it can measure your Oxygen levels which would be beyond amazing and maybe a lifesaver for many people suffering from a variety of diseases. Tracking heart rate is not something new since almost every fitness band out there does it. Getting bloodwork straight on your phone, once again could potentially help detect diseases as soon as possible, which would once again be a great help to both doctors and patients. How Apple would do so, without pinching you with needles, is currently a mystery. Bloodwork is currently used to detect most diseases and having something that comes even close on your phone, it might be the miracle we need in the health industry. 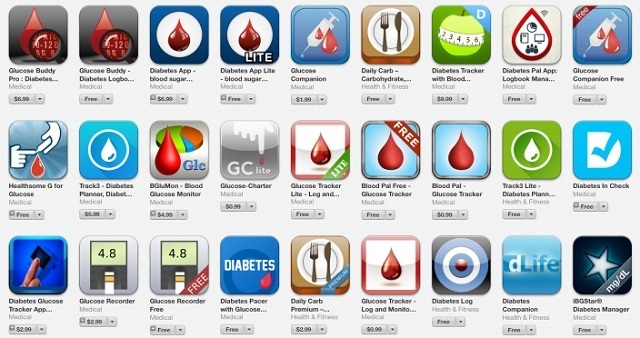 Another important aspect of the Apple Healthbook is that it might help track blood sugar levels. This is something close to Google’s smart contact lens, which would measure your blood sugar levels via your tears. Hydration is something that is not radical, but still, will help you create a healthy lifestyle and also avoid hangovers. 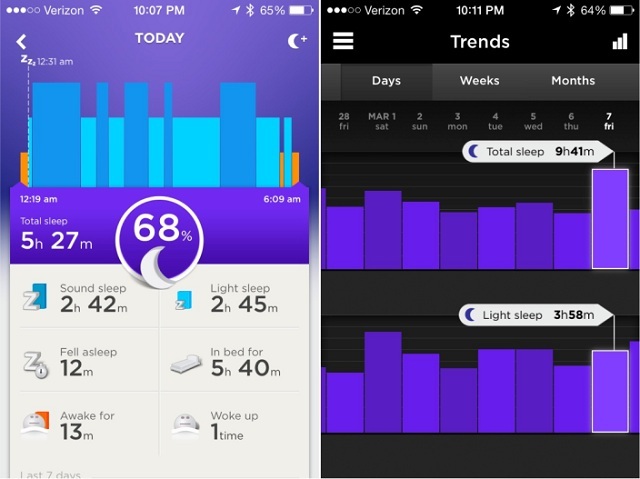 Another feature is sleep tracking, which is currently the domain of only the Jawbone Up and FitBit Fitness bands. Apple has hired one of the foremost experts in sleep tracking Roy Raymann. 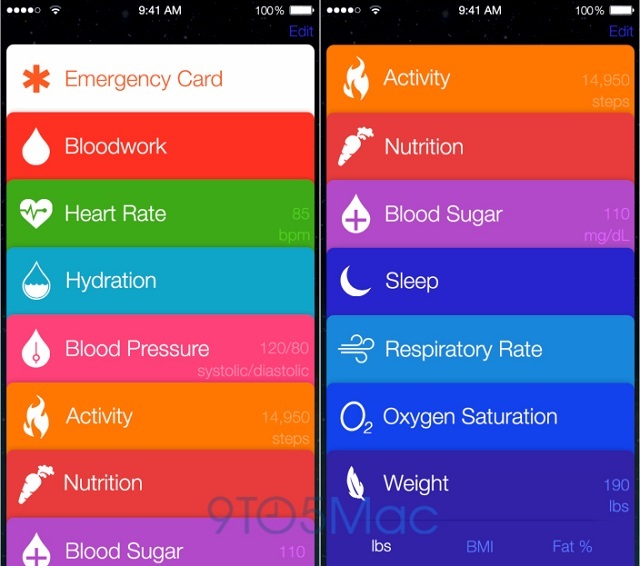 The Apple Healthbook will focus on sleep patterns, quality of sleep and alertness. 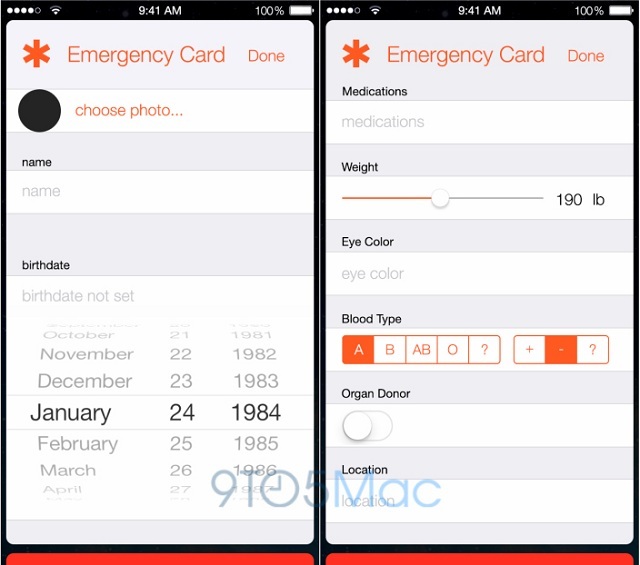 There is also an emergency card feature built into the Healthbook that will store the customer’s name, birthdate, medication information, weight, eye color, blood type, organ donor status, and location. It will help transfer this information to someone who takes care of you, in case an emergency occurs. This information, might be, in fact accessible from the lock screen, making it truly useful. But the real mystery is, how will Apple tie all these features together? Well, the Apple iPhone 6 might capitulate on the motion-tracking M7 motion processor, which will expand on its functionality from the iPhone 5S. Not only that, it should work around Apple’s rumored iWatch, slated to come with fitness-centred features. Not only that, iOS 8 is slated to debut with the iPhone 6, in the classic Apple fashion and might bring along more fitness enduced features. With what it has on offer, Apple has the opportunity to create the hype back with iPhone 6. While the iPhone 5 and iPhone 5S did well for themselves, they didn’t do exponentially well, leading to erosion of market share to Samsung. The Apple iPhone 6 is something that should make it strike back at the market and offer something that is legions ahead of Android phones, which is what has worked for it in the past. With features such as the Apple Healthbook in tow, Apple iPhone 6 should be definitely something to watch out for.